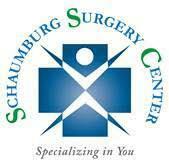 Schaumburg Surgery Center (SSC) is another example of Barrington Orthopedic Specialists commitment to offer convenient comprehensive services for our patients. Located on the second floor of our Schaumburg clinical building, our board-certified physicians and experienced staff utilize leading-edge technology to provide a cost-effective, comforting atmosphere that is far less stressful and much more personal than that of a hospital. Built with the patient in mind, SSC has private individual pre-op and recovery areas, “state-of-the-art” operating rooms, and a warm, comfortable waiting room. We specialize in the most advanced, cutting-edge, minimally invasive procedures to help our patients get back to their desired level of activity as quickly as possible. SSC is ideal for orthopedic, podiatric or pain management procedures that do not require an overnight hospital stay. Monday - Thursday: 6:00 a.m. – 5:00 p.m.
Friday: 6:00 a.m. – 4:30 p.m.